This is one rule that applies across the sporting codes. Trying to ‘steer’ the ball doesn’t work. It might feel like you’re adding control, but the evidence says otherwise. 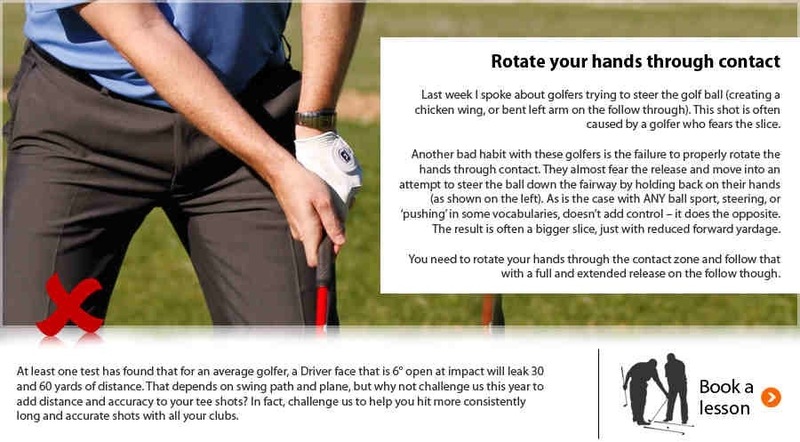 This entry was posted in golf and tagged fitness, golf, golf instruction, golf tips, slice. Bookmark the permalink.